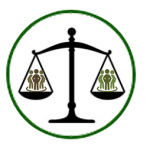 "Collaboration is much more than a politically correct word in legal parlance. It is a skill—if not a job requirement—for lawyers engaged in today’s increasingly global, inter-disciplinary, technologically enhanced legal delivery system." 1)“Right-task” the work that stays in house, 2) retain good project managers, 3) work closely with embedded non-lawyers, and 4) bring others onboard trained in process management & business skills. Well, that's exactly what Project Plan 365 helps you do! But how exactly is a law firm supposed to get started, if Mark's advice is to be taken? Certainly not by hiring IT specialists and/or buying new hardware! No, not that...instead, Project Plan 365 is simple to use Software-as-a-Service (SaaS) that allows lawyers and staff to collaborate within teams made up of folks both inside and outside of your firm. No IT specialist or new file servers required! 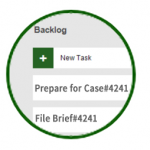 And Project Plan 365 is not just another flashy project management website - this is a real application developed by project managers for project managers. However, we've taken most of the geekiness out of project management and made a tool assessable to anyone, from paralegals to CFOs. The legal team and other collaborators just download the app - made for what they know: PCs, MacBooks, Android tablets or iPhones - and off they go. The first subscriber to a Project Plan 365: Business (PMO) plan configures the collaboration (doing things like creating a resource pool, naming the team, etc. ), and then project managers come on board to begin designing and implementing project schedules. Easy as that. Portfolio views (think dashboards) then can generated on the fly, by anyone in need, and allows, say the CFO, to see all the activity within the firm at once, as it's all happening. Individual project planners have assigned tasks to team members (and any other stakeholder), and now those folks working in the field can update the progress of their work by simply tapping on a smartphone. Case won? One tap and everyone involved knows. Projects can be created just how the manager likes: waterfalls, KanBan boards, Scrums...all that geeky stuff is supported, and we provide 24x7 support in case you get stuck. 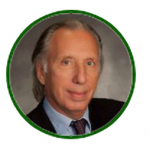 Jack Economou has been licensed and practicing law for 58 years, and his firm of one + support has serviced his small upstate community well in terms of matrimonial law, family law, construction and real estate law, etc. 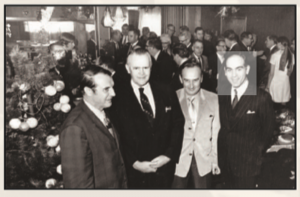 Mr. Economou was a judge, a politician and a family man - traditional in every sense of the word. And what he and many other small firms around the country are realizing, is that the management of a single-attorney firm is not what it used to be - in this new age of the internet, partnerships with non-lawyers, with adverse parties and with many more folks involved in cases, in general. So what small firms (as well as in-house legal departments) do now is to enlist new technology that can improve services and help keep their competitive edge. Project Plan 365 is just that tech, as we provide plans that scale from one-lawyer firms, to firms with 10 or so, to ones with one hundred or more on board. So bring on your case - we're ready; and here is a shoutout to Jack - we thank you for your service!